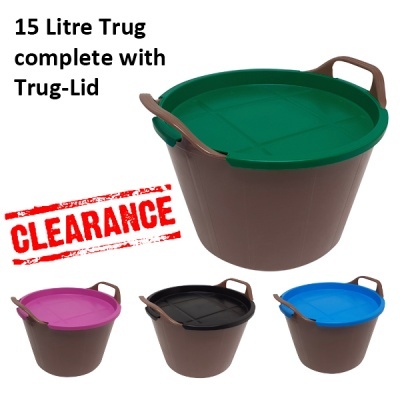 These trugs are of high strength, flexible design with a useful integrated scale indicator in litres and gallons. Whether it’s collecting home-grown veggies from the garden, toy storage, carrying beach accessories or even using as an ice bucket 15 litre Rainbow Trugs can do it all! Perfectly safe for children as they are 100% free from harmful phthalates which some manufacturers use to increase the flexibility of their products. Truly useful containers, no home or garden should be without flexible 15L Rainbow Trugs!